This is delicious, quick, and easy! Make it your own by using the hummus, veggies, and pasta of your choice. While the pasta is cooking, wash and chop the vegetables. Blend the hummus and non-dairy milk. Taste and season with salt and pepper if needed. Set aside. Heat a pan, and when the pan is hot add the oil. Add the peppers, onions, and kale (if using spinach do not add yet). When the peppers, onions, and kale are tender, add the mushrooms (and spinach if using). Cook for 1-2 minutes. When the mushrooms and spinach are starting to soften, add the hummus sauce and heat until warm. 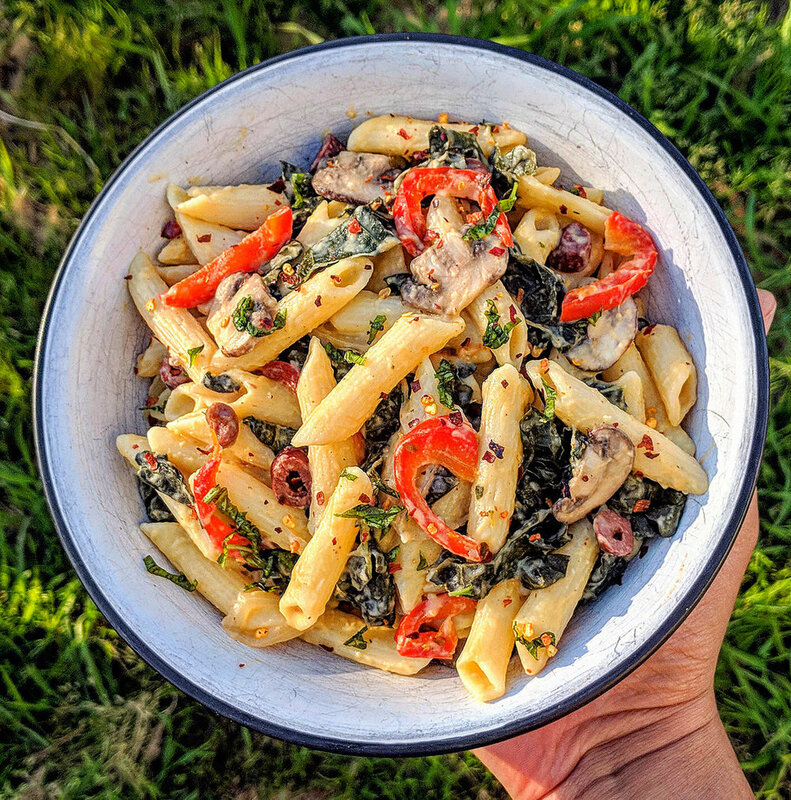 Serve over Penne and garnish with fresh basil and red pepper flakes, if desired.